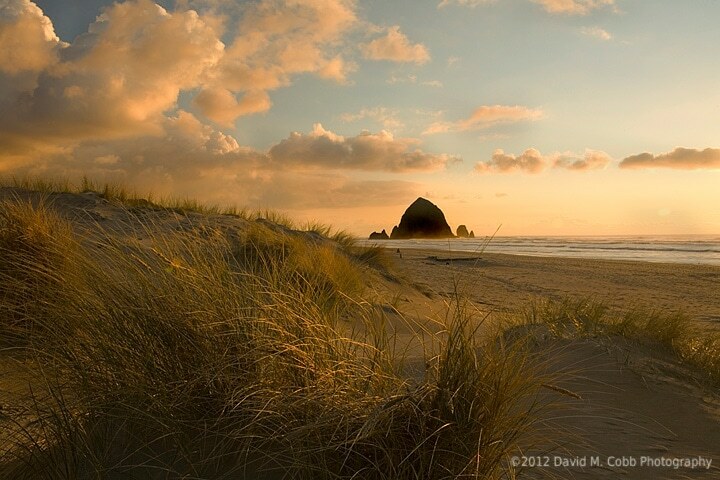 Use the dunes for a foreground to frame Haystack rock along the beach. By using this technique you set up interest and texture with the dunes, using the beach and Haystack as the mid-ground and hopefully a dramatic sky for the background. Stand back a bit from Haystack Rock and use the beach reflections and sky reflections along the beach with a wide-angle lens. If the sky is dramatic enough, this could be the ticket to a spectacular image. 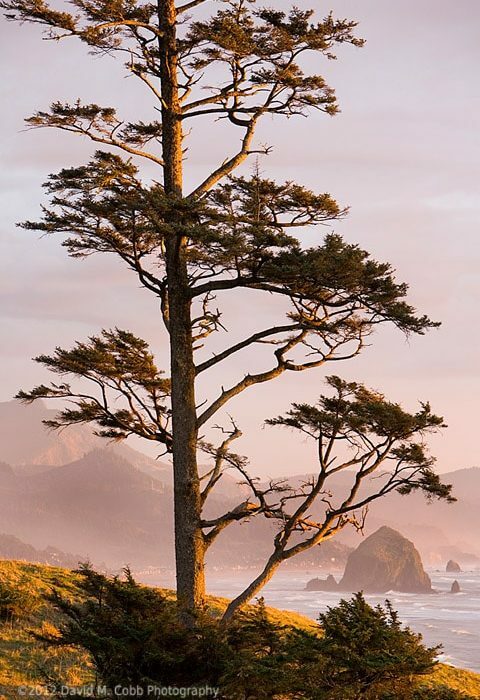 Create an interesting image of Haystack Rock by shooting it from a distance along the beach or even from a viewpoint at Ecola State Park. Framing the monolith with a tree can fill an uninteresting sky with texture. My favorite seasons to photograph Haystack are the spring and fall because of the dramatic skies, and sunset is my favorite time of day for images. When you arrive to photograph, don’t forget to use your macro lens and shoot the tide pools around Haystack Rock—but be careful of the sea life around you. Just a few photographic tips for tackling one of Oregon’s most photographed icons. Editor’s Note: “Capturing Oregon” brings you the stories of Oregon photographers as they traverse the state to capture its beauty. To see more of David’s photography, visit www.dmcobbphoto.com.